and Chooch will recognize it. Please upload a photo. 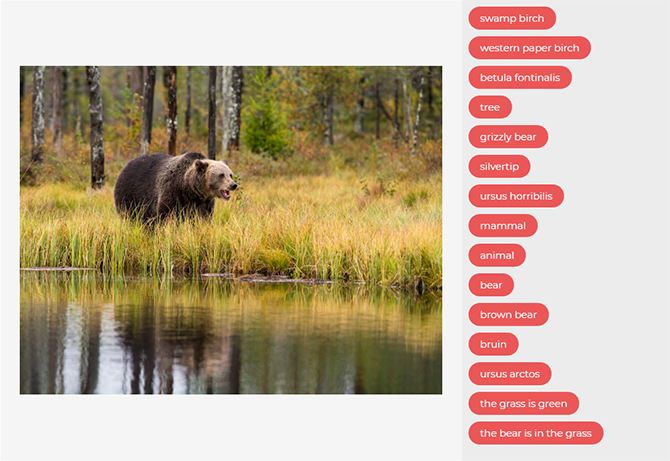 Chooch will tag your visual content by matching within its Perception Library. You can train Chooch to recognize anything, from types of leaves to faces in a crowd. IC2 is Chooch’s demo app available on the iPhone to tag live feeds in real time. Chooch will reference its public Perception Library to identify objects, details about people and celebrities. If your organization is interested in learning more about using our technology commercially, we would be happy to show you how Chooch works, answer detailed questions and discuss how we can help you dramatically increase the speed and depth of visual AI initiatives.